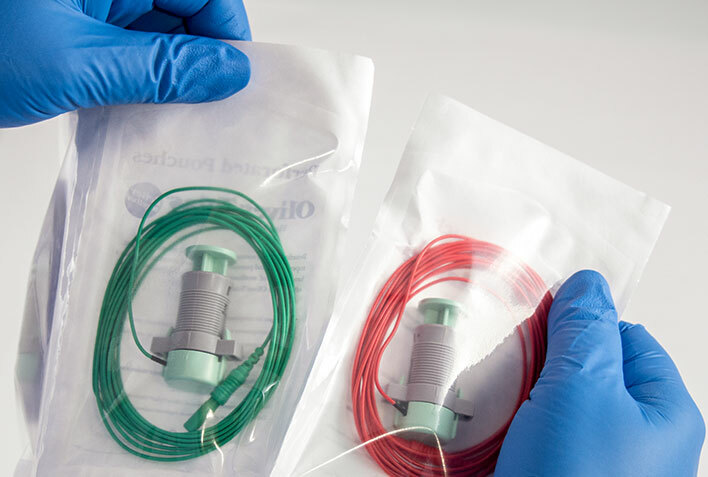 Through our quality, custom-to-order system, and extensive list of materials, we provide the exact medical pouch packaging you need to meet sterilization requirements. Our packaging engineering experts will help guide you toward the right set of materials to meet all of your requirements. Our healthcare pouches may be puncture resistant and fit your precise sterilization and material requirements. We can couple them with custom engineering and superior adhesives like SealScience® water-based and Xhale® hot-melt adhesives to deliver the quality packaging you expect. Our peelable pouches can be torn or cut open, are puncture resistant, and have pockets. When you want a foil pouch but you sterilize via EtO or steam, we have Dispos-a-vent® header pouches. Our custom peelable medical pouches peel open cleanly and easily. They can be die-cut, perforated or puncture resistant to withstand the rigors of sterilization, distribution, storage and use. 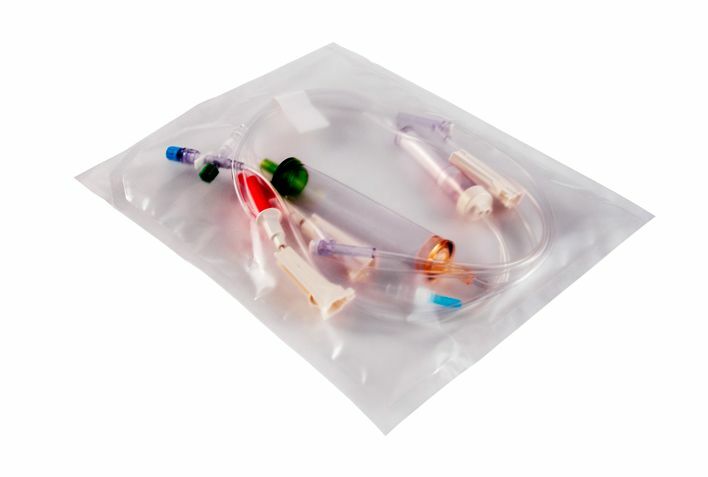 Dispos-a-vent pouch: A barrier header pouch that allows for EtO or steam sterilization. Pocket pouch: Features an external sleeve that can be used for printed inserts, such as IFUs (Instructions For Use), test results, client records or other non-sterile components. Ostasis™ reinforced pouch: A sturdy package that can provide protection against pin-holing and film fracturing created by blister trays or heavy and bulky medical devices. Tear or cut-open pouches are made with material that has to be destroyed to open. They may be perforated or die cut. Perforated pouches hold several different variations (size, compatibility, etc.) of a device, each in separate sterile barrier pouches, but all grouped together. Reduce waste when a healthcare practitioner has several different device variations available in the operating room (yet opens only the device needed) without compromising the sterility of the others. Separate the pouch containing the needed unit from the other pouches without introducing particulate into the OR due to the low linting properties of Tyvek. Ease OR prep with a strip of pouches containing all available device variations, ensuring the right size is available for use in the OR when needed. Optimize processing by sealing multiple pouches in one cycle. Perforated pouches are comprised of one side of medical grade Tyvek, Ovantex or paper and specifiable films, such as nylon or Pet/PE. We also offer AIOx barrier pouches, which prolong product shelf life and allow for visual device inspection. 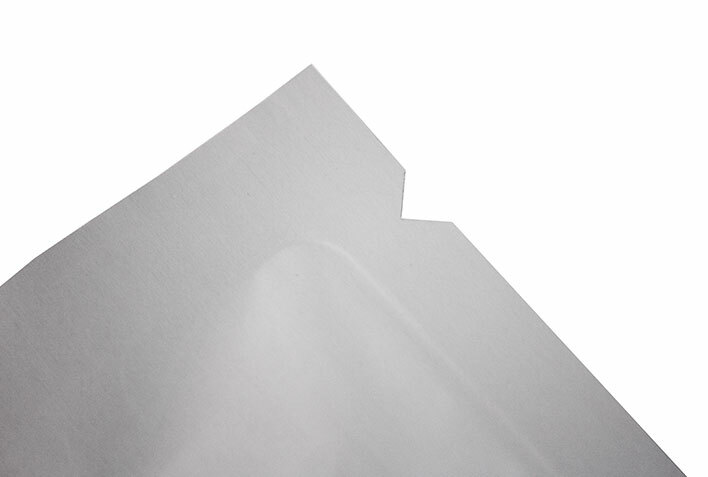 AIOx barrier films are available as an aluminum-oxide-coated PET lamination for tear-open pouches, or an aluminum-oxide-coated PET lamination with 2 mil sealant layer for peelable pouches. Whether you need help creating a packaging solution or troubleshooting an issue with an existing product, Oliver Healthcare Packaging offers you dedicated support services. If you’re just getting into high-volume applications for healthcare packaging, you need high-touch customer support.